In yesterday’s news was a story involving a meeting that took place this week between former president Bill Clinton and U.S. Attorney General Loretta Lynch. The meeting is significant mostly because Mr. Clinton’s wife, who is a former U.S. senator and secretary of state and a candidate for the presidency, is the subject of an investigation by the Justice Department, of which Ms. Lynch is head. It could easily be construed as odd, if not improper, for the nation’s top law enforcement official to have a one-on-one with the spouse of someone who might soon be charged with a crime. It could also be worth considering what constitutes a meeting. “I heard you were over here so I thought I’d say hey. Well, gotta go. See you!” Is that a meeting? I’d say no. Does the topic of a discussion factor in? Of course it does. “Listen, about the emails thing…” would be seriously bad news. Maybe Bill Clinton simply intended to do the “say hey,” but he’s smart enough to know how it would look. Maybe the attorney general knew how bad it would also look for herself but thought it would be rude to say to a former president, “Thanks but I shouldn’t be talking to you. Please get off my plane.” That would be on her. In any case, it looked bad. But all things considered, I am not much interested in the minutiae of the Clinton-Lynch encounter. I weigh in, rather, mainly to address the question of the likelihood of the encounter itself. It happens that if you fly around on private planes you’ll run into other people who fly around on private planes. There are far fewer of those people than there are people like you and me. I ran into someone I knew in a Paris airport once, and on a flight to Shanghai I found myself across the aisle from someone I knew, and those were commercial flights. If you travel you’ll run into people you know. It would be coy to allude to “a former job situation” so I won’t. I flew around with Gov. Schwarzenegger a lot, and in my own narrow experience we ran into Bill Clinton several times. Out of the blue, there he was. I say my experience is narrow but that depends on how you look at it. 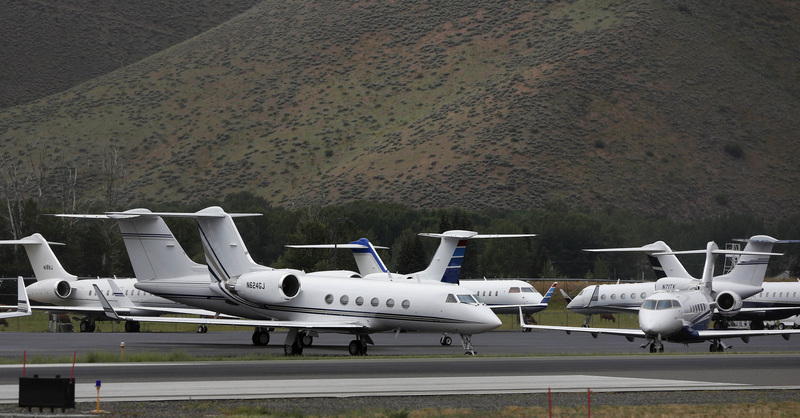 By my best estimate, I was a passenger on over 2500 flights aboard private jets. On some days over the course of seven years there were no flights but on others there might have been five or six. 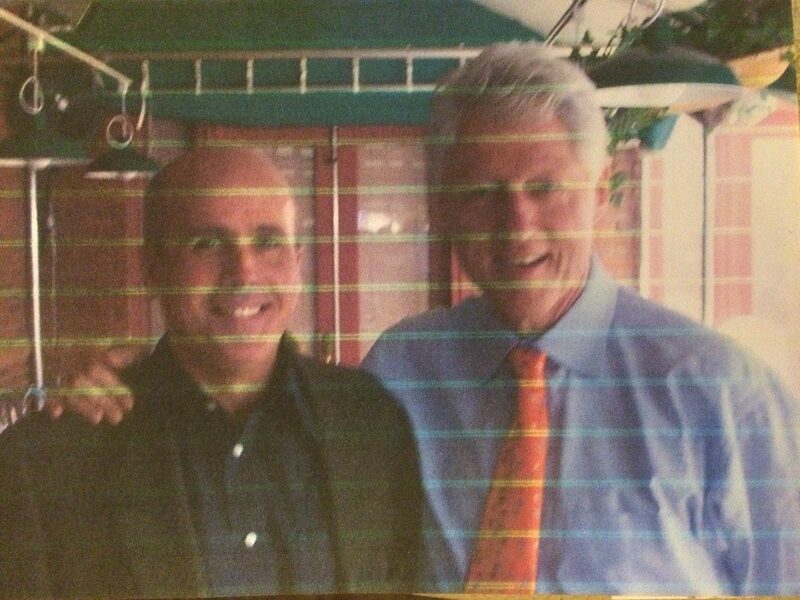 Here is a picture of me and Mr. Clinton at Boogie’s Diner in Aspen, Colorado. A minute or two before it was taken he had his arms around my waist, his face at the level of my belt, but that’s another story. And oddly, only a few hours later I found myself in the living room of a Koch brother, but that’s also another story.